HEY VALENTINE....Captain Reliable shares a timely tip for men about ladies and love. February 14th is Almost Here. It matters not who you are in life, you always end up in the toilet. The American Toilet Association is here to make toilet time, no matter how long, a happy stint. The toilet, that last bastion of privacy, has long been devoid of comic relief. 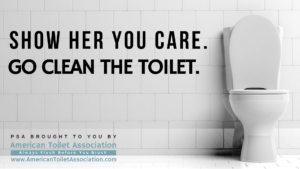 We want you to know that you are not alone when you’re in the toilet…your Association is behind you. At the American Toilet Association, we didn’t invent bathroom humor we just made it better. Our spokesperson is a veteran of commode comedy and lavatory laughs. 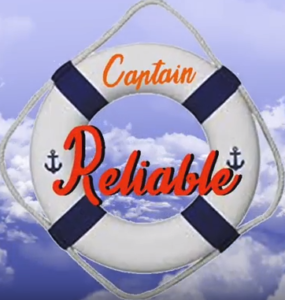 Captain Reliable is a knowledgeable resource of all things bathroom. 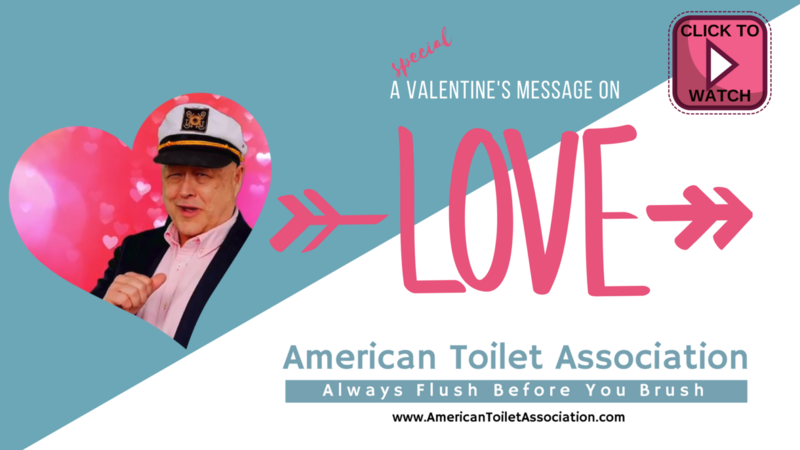 His glib delivery of the promotional message is carefully aimed directly at the toilet customer and includes funny facts, breaking news, and good-natured wisecracks about bathroom-related products and services. Yes, he’s kind of the Mark Twain of the Toilet. Contact us for the funny side of your bathroom products or toilet-related services. Need bathroom-focused news and good cheer? You need Captain Reliable. Contact Robin at Creative Center of America.